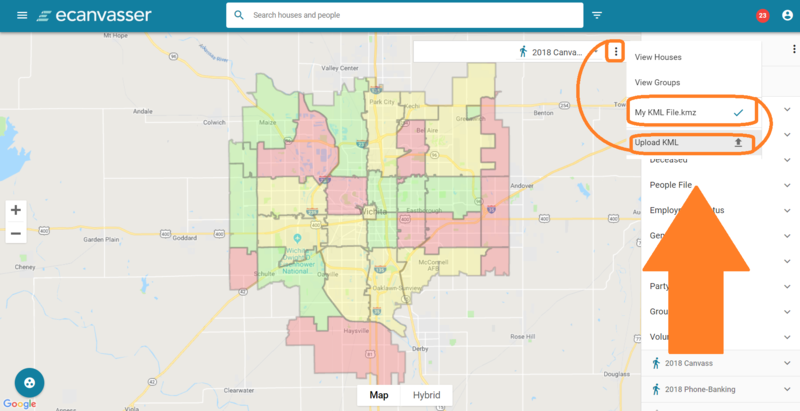 Ecanvasser allows you to visualize the data of your individual Houses, or aggregated Group data via our Map page, or in tables and graphs on our Results page. 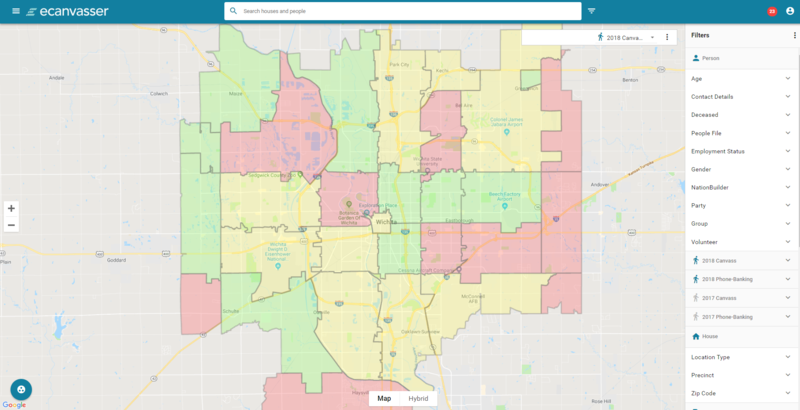 Sometimes though, you might want to represent other external data side-by-side within Ecanvasser, and here we've got you covered too! File Format: KMZ files are zipped (or compressed) versions of KML files. As such, if you have a KML file that is larger than 3MB, you can reduce it in size greatly by converting it to a KMZ - you can often reduce the total file size by a factor of 3-10, depending on the file. It's a straightforward process, and you learn how to do this here. 3. Select which, if any KML you wish to display on screen You'll only be able to display one at a time. Once uploaded, these files are stored in your Documents page, and can be removed from here too, should you wish.